At a time when many around the world are fleeing their homes, seeking refugee protection has become a game of chance. Partly to blame is the law that governs how refugee status decision-makers resolve their doubts. This long-neglected branch of refugee law has been growing in the dark, with little guidance from the Refugee Convention and little attention from scholars. 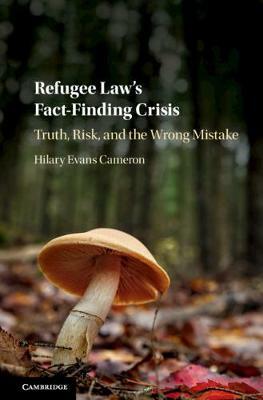 By looking closely at the Canadian jurisprudence, Hilary Evans Cameron provides the first full account of what this law is trying to accomplish in a refugee hearing. She demonstrates how a hole in the law's normative foundations is contributing to the dysfunction of one of the world's most respected refugee determination systems, and may well be undermining refugee protection across the globe. The author uses her findings to propose a new legal model of refugee status decision-making.